Hardwood Planet Flooring warrants, to the original purchaser only, that these hardwood treads and risers, in their manufactured condition, will be free from defects in material and workmanship including milling, assembly, dimension, and grading. 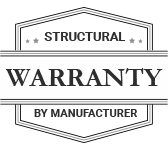 The Structural Lifetime Warranty will be in effect as long as the original purchaser owns the property. Indentations, scratches or surface damages caused by lack of proper maintenance, misuse, negligence or accidents. Spiked heel shoes, water, fire, wet mopping, erosion, pebbles, sand and other abrasives. Insects, pets, natural wood fiber discoloration. Attempt to repair, replace or refinish prior to inspection by Hardwood Planet. Hardwood Planet Flooring offers no finish warranty. Although we use a high quality finish, the performance of said finish is a direct reflection of maintenance and therefore, is not under our control. Color variations are a natural occurrence in hardwood due to age, species, and exposure to UV light. The color variations are not covered under this warrant. Gloss reduction is considered surface wear: therefore, not covered under this warranty. Hardwood, being a natural product, will continue to expand and contract during seasonal and temperature changes. Products, when properly installed, may experience minor separations. If minor separations do occur, they are not covered by this warranty. Because Hardwood Planet Flooring treads are solid hardwood and a finished product, the relative humidity in your home must be kept between 35% and 55%. This warranty does not cover damage or unsatisfactory performance caused by excessive moisture, including, but not limited to, improper humidity inside the home, excessive ground moisture that migrates into the home for any reason, water leaks caused by broken pipes or appliances, weather conditions or natural disasters such as flooding or excessive rainfall. Installation is not a manufacture’s defect of Hardwood Planet Flooring and is not covered under this warranty. Any installation issues should be referred to the distributor where Hardwood Planet Flooring products were purchased or with the installer who installed the Hardwood Planet Flooring product. 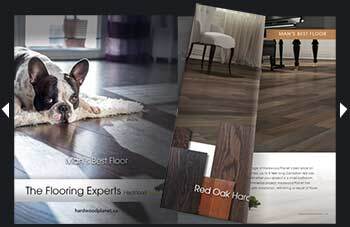 Hardwood Planet Flooring distributors are independent distributors, dealers or retailers of Hardwood Planet Flooring products and no expressed or implied warranty is given by Hardwood Planet Flooring concerning their distributors, dealers or retailers who sell Hardwood Planet Flooring products. Contact the distributor, dealer or retailer where you purchased the Hardwood Planet Flooring products. Provide a valid proof of purchase in the form of a sales receipt or other documents which establish proof of purchase. Provide a description of the problem and/or photograph/sample that clearly shows the warranty problem. An inspector will submit a written report to HardwoodPlanet, along with a copy of the proof of purchase. If Hardwood Planet Flooring deems a product to be defective, then HardwoodPlanet will refund or replace at our discretion any tread or riser. If there is a dispute as to the validity of the claim, a manufactures representative must be permitted to inspect the product in question at the purchaser’s expense. The final MFG report will determine the action concerning the claim. Hardwood is a product of nature and therefore, not perfect. Our wood products are manufactured in accordance with the accepted industry standards, which permits grading deficiencies not to exceed 5%. These grading deficiencies may be of a manufacturing or natural type. The installer assumes all responsibility for final inspection as to the grade, manufacture and factory finish. This inspection must be done before installation. Carefully examine hardwood products for color finish and quality before installing it. If material is not acceptable do not install it and contact seller immediately. Prior to installation of any hardwood product, the installer must determine that the job-site environment and the sub-surfaces involved meet or exceed all applicable standards. Recommendations of the construction and material industries, as well as local code must be must be followed. These instructions recommend that the construction and sub-floor be dry, stiff and flat. The manufacturer declines any responsibility for job failure resulting from or associated with sub-surface, sub-flooring or job site environmental deficiencies. Prior to installation, the installer/owner has final inspection responsibility as to grade, manufacture and factory finish. Use of stain, filler or putty stick for touch-up during installation should be accepted as normal procedure. Should an individual piece be doubtful as to grade, manufacture or factory finish, the installer should not use the piece. Use of appropriate products for correcting sub-floor voids should be accepted as normal practice. Tooling choices upon installation are fully the responsibility of the installer and owner, as a trusted contract to perform the job satisfactory and at the necessary skill level.